Drag in Newfoundland! It's a thing, and it's growing quickly. Halleloo! 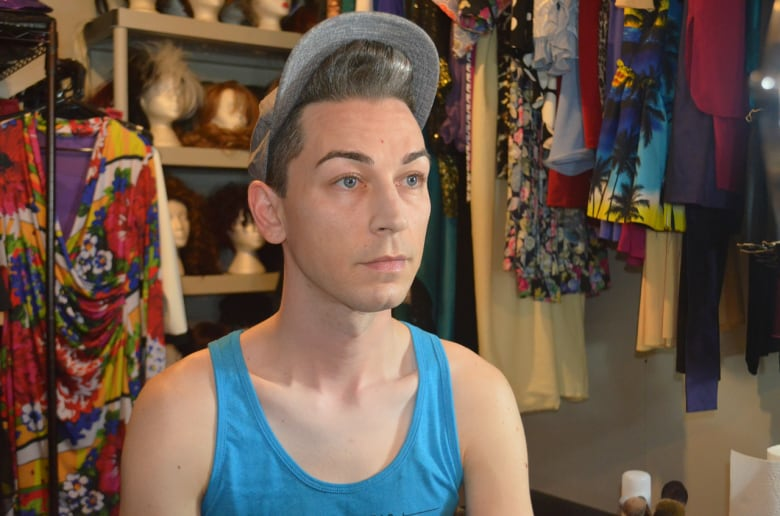 When Jade Nohels moved back to Newfoundland and Labrador after several years living on the mainland, he says he experienced something of a drag culture shock. Nohels, whose drag persona is Fashionista Jones, started doing drag 14 years ago, first in Toronto and then in Halifax — cities with large, established drag scenes. He went to a drag show in his home province upon his return about three and a half years ago and left thinking about what he could do to foster the local community. The local scene has changed significantly in those few years, said Nohels, who feels he can take some credit for that based on what he's heard from other performers and fans. "All it takes is one person to get that ball rolling," said Nohels, who grew up in Cape St. George on the Port au Port Peninsula. But the scene that was already in the city, and that has continued to grow in recent years, deserves credit for keeping that ball rolling, he said. 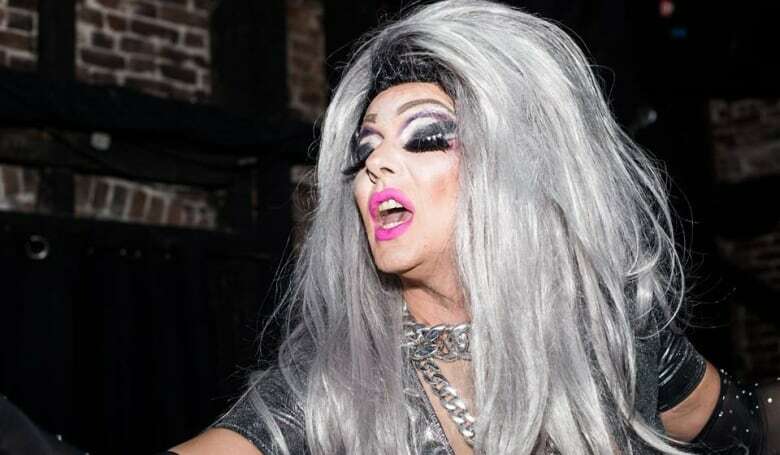 It's a scene that includes several active local drag queens and kings: Irma Gerd, Doctor Androbox, Evelyn J Tudor, and Eda Kumquat are a few of the best-known local performers. Crystal Thornhill, who first did drag as Johnny Diamond five years ago, for a local Drag Idol competition, says some performers have been there through lean times. 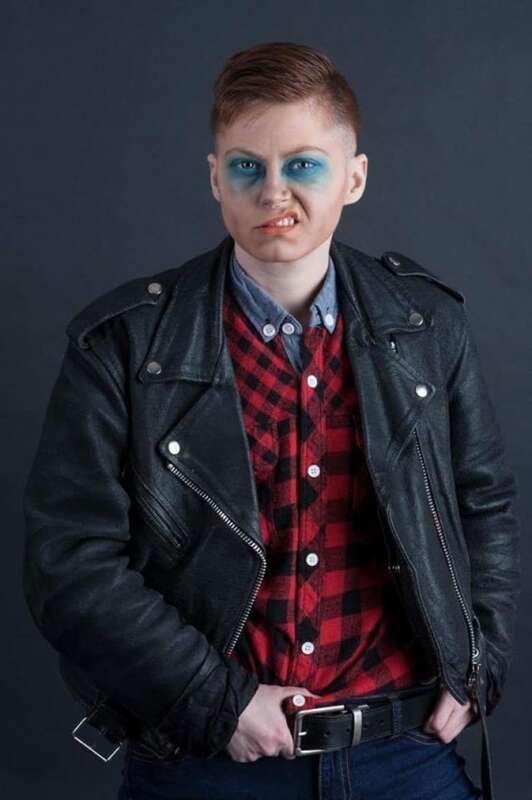 "We would do shows, there would be 10 people, we wouldn't get paid," said Thornhill, one of St. John's best-known drag kings — or performers who dress in male drag — and who co-founded the East Coast Drag Company with Nohels. "We were literally just doing it because we loved to do it." A few years later, drag in St. John's has reached a point where shows are selling out, big-name performers are visiting, and events are bringing out an audience that extends well beyond the city's LGBTQ community. "People are gagging over it," said Nohels, using some of the drag vernacular that has gone from underground to mainstream as the art form has undergone the same transformation, both locally and around the world. Before becoming Johnny Diamond, drag was already a part of Thornhill's life growing up in St. John's. "It was just very open in my family. We'd watch Dame Edna together, we'd watch RuPaul," she said. "It was always just thought of as fun and entertainment, and not something that's controversial, in my house." When she hit her 20s she started to get interested in queer culture more generally, and learned more about the underground scene that had featured performers like Divine, who appeared in several films from director John Waters. Fast forward a few years and John Waters has been a guest host on RuPaul's Drag Race, a reality television show that is the highest-rated program ever on VH1. Drag's rapid growth is affecting those smaller local scenes that have always existed in cities like St. John's, but often remained at the margins of even wider LGBTQ culture. The result is greater awareness and appreciation of drag as an art form, and new business and creative opportunities for its performers. Drag performer and promoter Vlad Snytkin feels strongly about supporting those local drag scenes. "A lot of people like watching RuPaul's Drag Race but they are not aware how great are their local performers," he said. "The local performers, they could be as good as RuPaul's Drag Race queens." Those local drag kings and queens who are thriving now have that opportunity because of those who pushed through the tougher years, Thornhill said. 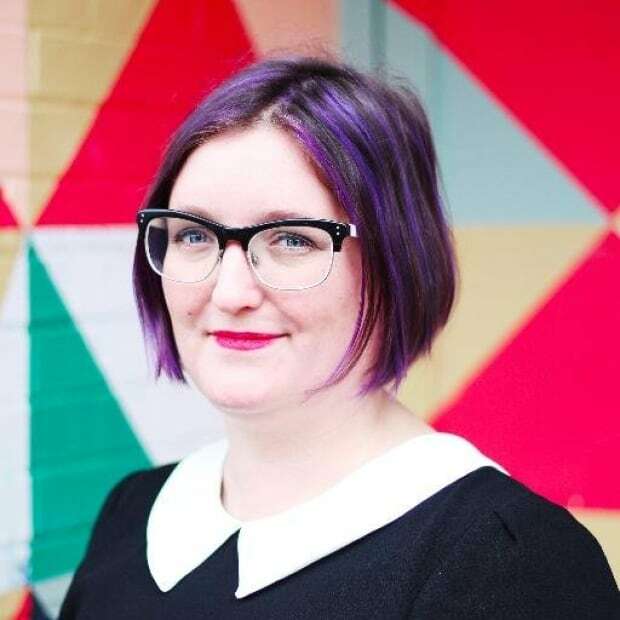 "I think the reason why it has gotten bigger in Newfoundland, in St. John's in particular, is because of the local people who've been doing it over and over and over again," she said. "It's always been there, so when people decide 'I'd like to check this out,' we're still there. We haven't given up yet." 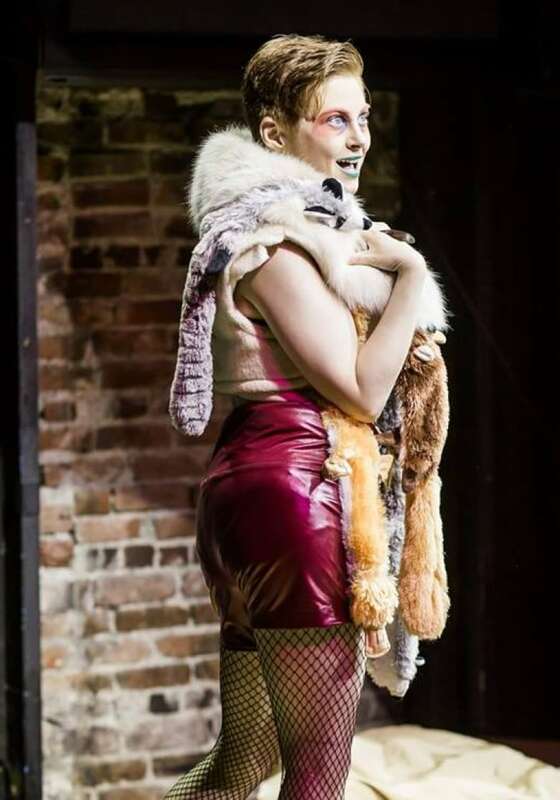 Snytkin, who performs drag as Anya Knees, started a company called clubCOUTURE in Halifax about a year ago, in part to put on the kinds of events he wanted to see in Atlantic Canada. He came up with the idea for Atlantic Drag Star, a drag competition that would bring together queens from Eastern Canada, and booked Kim Chi, a queen from Chicago who had done well on the reality TV show RuPaul's Drag Race and who is known for her fashion-forward, avant garde looks. But a scheduling conflict derailed his original plan, so he decided to do something new: a mini-tour with the drag star that would hit Montreal, Moncton, Halifax, and St. John's, with a couture twist. "Kim Chi is so fashion icon. Let's do fashion party," Snytkin said. Just as Kim Chi inspired his business, the highly rated RuPaul's Drag Race is credited with inspiring countless performers, and with expanding the popularity of drag into the pop culture mainstream. RuPaul herself experienced success in the early 1990s with the hit single Supermodel (You Better Work) but for years was probably the only drag queen your parents had heard of. Today, many of the queens who have appeared on Drag Race have more than a million followers on their social media accounts. The show's alumni tour the world and play for sold-out audiences, both as a group and individually. Major stars like Lady Gaga and Shania Twain have appeared as guest judges on Drag Race. In addition to being a cultural force, drag is now also a big business. The most recent DragCon conference, held in May in Los Angeles, had 40,000 attendees. The cruise line Celebrity Equinox does specialty cruises with drag queens onboard as performers. Makeup lines collaborate with queens, and mainstream fashion brands use them in advertisements. One recent queen, Aja, appeared on H&M billboards last month as part of the campaign for their Pride line of clothing. Drag-perfected makeup trends like contouring and baking have made millions for non-queer stars like Kim Kardashian. And the new television series Pose mines the 1980s origins of New York City drag competitions for its fictional drama. That wider cultural awareness is trickling down to local scenes as well — including ones as local as the scene in St. John's, a city known better for its traditional musicians than its drag performers. Both Nohels and Thornhill credit the show with helping the St. John's scene expand and hosts larger shows and other kinds of events. "Because of drag race the art of drag, and the entertainment aspect of it, is put so much in the forefront," Nohels said. And when those big-name performers come to town and have locals on the bill, it makes it easier for the next local show to get a good crowd out, Thornhill said. ClubCOUTURE has since brought other queens known for their time on RuPaul's Drag Race to St. John's including Detox, Alyssa Edwards and Monet X Change, who hosted the finale of her own season on the show in the city last month. And the next two clubCOUTURE shows in St. John's will be held at Holy Heart Theatre, a larger venue that illustrates the popularity of the drag shows for local audiences. Doing a show at a theatre both fits the style of one of the upcoming performers, BenDeLaCreme, and appeals to both underage fans who can't attend a licensed show and older fans who don't necessarily feel comfortable in a nightclub environment. But it also allows for more tickets to be sold. 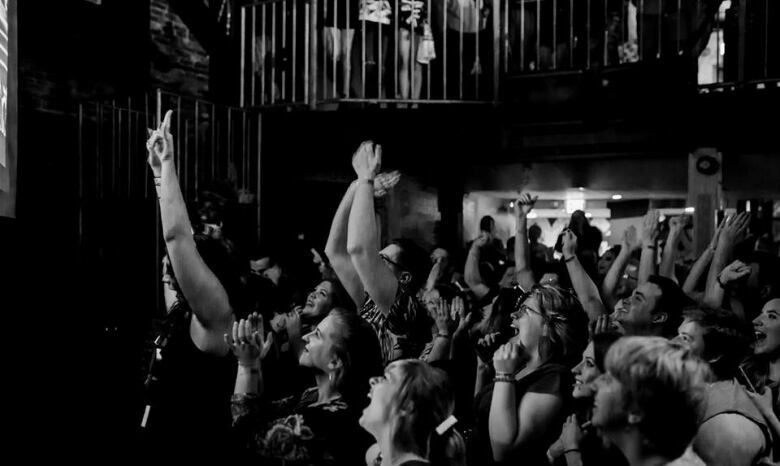 "[The] crowd is way bigger than we could offer in the nightclub venue," Snytkin said. Promoters in Atlantic Canada can fall into the trap of thinking that they can sell anything in the region, because there are fewer touring acts of all stripes coming through the province's four most eastern provinces. But audiences in these areas also deserve a great show, he said, and will appreciate it when they get that. "People tell me every time, 'oh my god, this was the best show so far,'" Snytkin said. "I always care about my audience. I'm trying to give them my best." He's particularly fond of St. John's and its enthusiastic audiences, he said, and points out that he's been screeched in both as Vlad Snytkin and Anya Knees. And hiring local performers for shows with bigger names in the drag scene gives him a chance to pay them, Snytkin said — many shows in any local drag scene often have low pay, or none at all, and drag is not an inexpensive hobby or career pursuit. Drag's popularity in St. John's also helps to support the drag community more widely. Raise Up Fundraising just held its third annual Drag Bingo, which raises funds for LGBTQ organizations throughout the province, later this week. "It's just basically a very very fun upbeat bingo with drag queens, drag kings, jokes, laughs, the whole nine yards," said president Charles Murphy. In the event's first year, a lot of work was required to make the public aware of the event. This year, tables for the event sold out in two days and all the tickets were gone with a month left to go to the July 13 event. "It's actually a really happy shock for us," Murphy said. "This year we didn't even have time to get our promotional material out the door." The bingo fundraiser is one of several popular drag-focused events Raise Up has planned in St. John's. The group has held several drag storytimes in the city and surrounding communities, with proceeds going toward a camp for trans and gender-nonconforming youth in Newfoundland and Labrador. "I knew it was important before I got there, but when I actually sat down and started reading to these children and saw how excited and nonjudgmental they were it was a really good feeling," said Thornhill, who read as Johnny Diamond at a recent storytime. 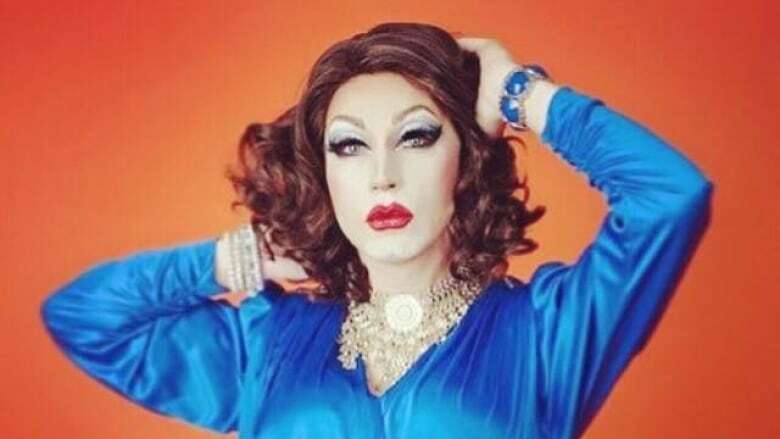 And another sold-out event, a Drag Race trivia night hosted by Fashionista Jones, will be held during Pride Week in St. John's, which begins July 15. The popularity of shows like Drag Race and the growth of the local scene have helped make these fundraisers, which in turn support the LGBTQ community, a success, Murphy said. "I think with RuPaul's Drag Race, and just the concept of drag being so exciting and so fun, I think people are kind of coming to terms with the fact that it's a really cool idea, let's go see what it's all about." But when a community grows, divisions can appear. Nohels said there is still division among some of the artists in the city who are "not taking the moment to collaborate with others." The best thing that could happen now for the drag community in St. John's, he said, is for its members to find ways to work together. Part of Snytkin's motivation to start hosting his own drag shows was that he often felt excluded as a performer in his local community, he said. Halifax has a large drag community, he said, but he never managed to find his own place that despite feeling confident in both his performing skills and his looks (or lewks) — how drag artists refer to the package of clothing, makeup, hair, and overall aesthetic they present. "I always was outsider in drag scene," he said. "I didn't have ability to show my drag for bigger audience." Those bigger audiences are coming now — the Alyssa Edwards show in St. John's had more than 400 attendees, said Nohels, adding there are more new drag performers coming up in the city. "I like to act as a mentor to them because I know that I never had that." Thornhill said she's found a supportive community in St. John's, where she's able to be a drag king and own a local company with a variety of performers. "You don't see that," she said of other communities. For her part, she hopes the shows continue to grow, with larger venues and even better performers of all varieties in the increasingly broad spectrum of what drag is. "I really just want to share it with everybody," she said. "I just want it to be as big and beautiful and bold as it could possibly be."